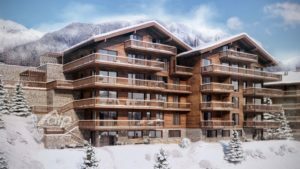 Alpine Lifestyle Partners (ALP), real estate in Grimentz, are proud to announce the launch of phase 2 of the successful Les Rahâs resort development in the snow-sure resort of Grimentz (Valais). 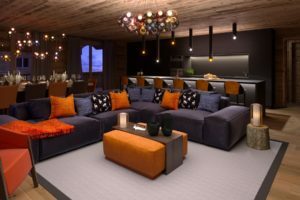 Les Rahâs, is in one of the most beautiful and sought after locations in the Alps, close to the Grimentz and Zinal ski lifts and is designed specifically with mountain living in mind. 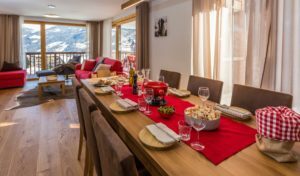 For skiing, biking or just feeling close to mountain nature; Les Rahâs will cater for every need of a second home owner seeking professional rental and management. 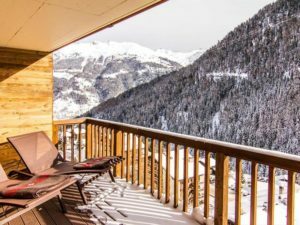 Conceptually, Les Rahâs is designed for clients wishing to have full ownership of a mountain apartment, but to also have rental management via a professional rental agency dedicated to their property (Mrs Miggins). The development has been driven by 20 years of experience in developing mountain homes for vacations and second home ownership. Les Rahâs has been concept-designed to ensure that features are included at a design phase rather than added as afterthought. 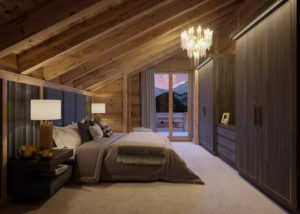 This includes unique features such as jacuzzi terraces; ceiling-height windows allowing the wonderful alpine mountain quality light to flood in, ensuring a feeling close to nature and a relaxing and recharging atmosphere. Comfort is paramount at Les Rahas from walk-in rain-maker showers to spacious living dimensions to accommodate all the family and guests you wish. Within the building, a number of features have been added to make every stay, be it short or long, a real pleasure! 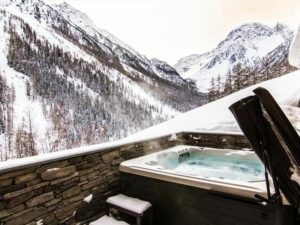 A mountain-sports designed wellness & fitness has been conceived with a view to training and preparation for those who ski and bike or for simply chilling and relaxing afterwards. A local favourite, the wine cellar ‘carnotzet’ is tucked in the basement for welcoming friends with the local wines, cheeses and charcuterie; the kids are taken care of with a play room and the Mrs Miggins reception area will be there to help service your every need. For Les Rahâs development, ALP have partnered with the highly reputable interior design and architecture practice Laughland Jones (LJ), multi award winners who can hand-hold the clients right through to furnishing of the apartments. 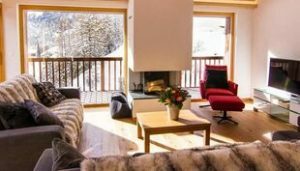 Laughland Jones are industry recognised, winning various awards including the global ‘Best Ski Chalet’ award at the International Hotel and Property Awards in 2016, and ‘World’s Best Ski Chalet’ in the World Ski Awards for 4 years running. Apartments can benefit from the design process of LJ and the option is available for all apartments applying their interior design know-how, style and expertise. 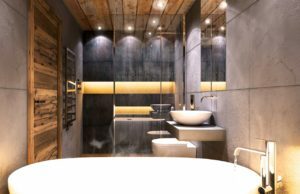 Their experience in the Alps make them ideal design partners to be sensitive to the geographic location, sources of materials and environmental influences. 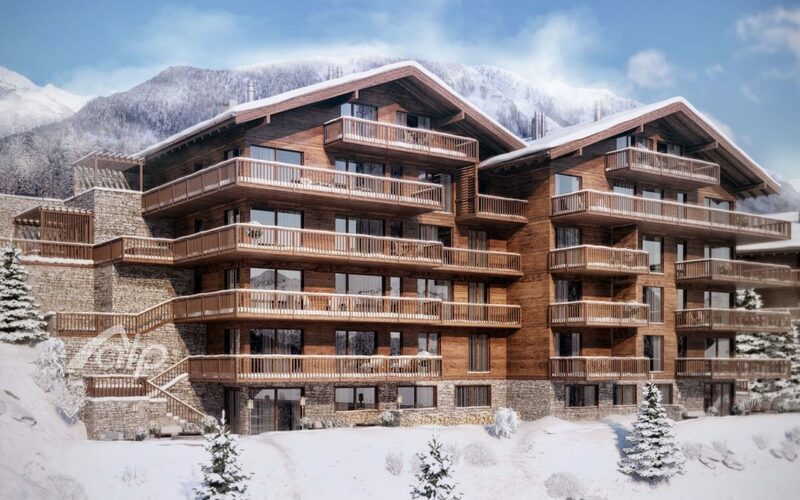 LJ will help ensure that Les Rahas provides the ultimate mountain living experience whilst incorporating contemporary design and comforts yet remaining sympathetic to local heritage. 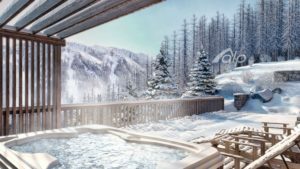 All in all, you will be brought into the alpine lifestyle to allow you and your family to experience the best of mountain living today. Les Rahâs works closely with the local bank, Banque Cantonale de Valais (BCVs) who provide bank mortgage finance to purchasers both Swiss and Foreign. Potential clients may be proposed up to 70% bank funding towards the purchase price with current low interest rates and possibilities of 5-10 year fixed interest rates. With multilingual banking staff ensuring international clients are well catered for, the BCVs have been valued by Les Rahas and have a comprehensive knowledge of Les Rahâs resort development. Grimentz, is described as “far and away the finest valley on the Swiss side of the Pennine Alps”. 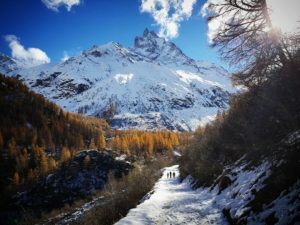 Located between Zermatt and the Verbier domain (4 Valleys), the valley enjoys one of the longest winter ski seasons and best sunshine records in the region. 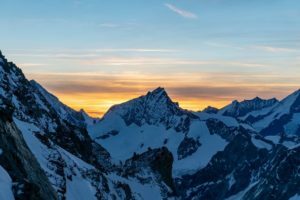 In 2014, a new cable car link from Grimentz to Zinal was built to provide jointly over 120km of ski pistes and off-piste trails with skiing up to 3000m altitude, as well as some of the best off-piste sking in Switzerland. The Val d’Anniviers boasts in total 230km of ski-pistes up to 300m and over 300km of summer hiking paths and biking trails. Grimentz enjoys good access from the Lake Geneva region, from Zurich and Berne via the Lötschberg tunnel, and from Milan via the Simplon Pass. Sion airport, a short drive away, is primed for development with an increase in flights planned over the coming seasons. Grimentz has recently been voted as the second most beautiful ski resort in Europe by a CNN Travel poll only after Zermatt. 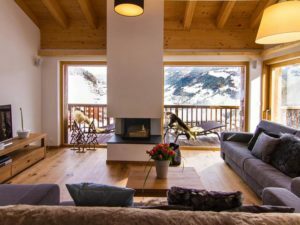 Discover our dedicated page and find the best propertiy for sale in Grimentz. 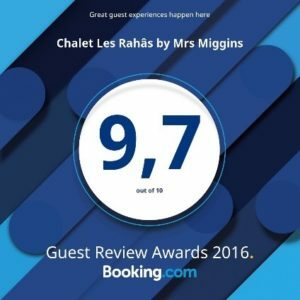 Mrs Miggins is a fundamental element in the success of Les Rahâs, enabling a quality rental service as well as a ‘super concierge’ service for owners. Mrs Miggins luxury chalet services was established in 2004 and provides a unique and high level of service; increasingly expected by owners, clients and tourism professionals. A range of resort services are provided to ensure that every stay at Chalets Les Rahâs is memorable and leaves one wanting to return. Mrs Miggins, who is highly experienced in mountain resort vacations, is constantly innovating to bring new experiences to its guests; like ‘Bike and Chill’, ‘Summer Camp Fun’ and ‘Romantic Escape’ packages. Mrs Miggins has now catered to clients originating from 28 different countries and is currently ranked 9.7/10 after 3 years of operations. “Fantastic from start to finish, very relaxed in all ways.